Boat seats repaired or re-trimming available in a wide choice of colours. Carpets, Hoods, Storm Covers, Biminee Tops. 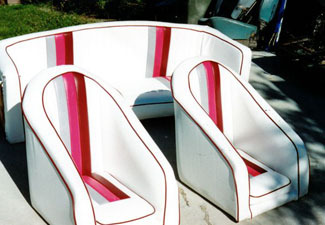 Seats can be recovered in Vinyl or Cloth.